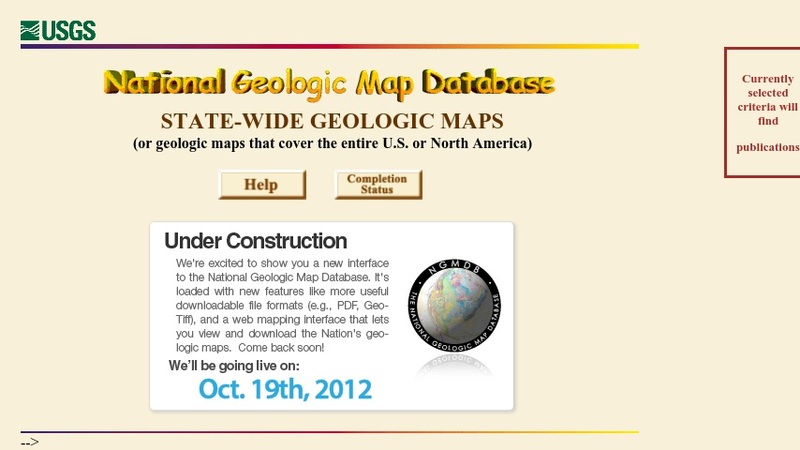 This search tool provides descriptions and availability information for geologic maps of the 50 States, the District of Columbia, and Puerto Rico. These geologic maps are published by a variety of organizations, including State geologic agencies, the U.S. Geological Survey (USGS), universities, and private companies. Title, date, scale, publisher, series (where applicable), and basic ordering information is provided for each map. A place name search and an advanced search using geologic themes, areas, publishers and other criteria allow for more specific queries to the database.